Which one is the Best American Tv Series of 2019? There are a lot of popular Tv Series in USA Televisions. Most important feature of these series is being watched a lot of people from different countries. We decide to choose the best American Tv Series of 2019. 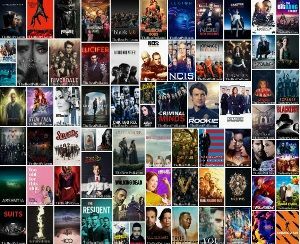 This list is composed of American Tv Series 2019. Here are our picks for the best TV Series of 2019. Choose your favourite one and vote! If you haven’t watched The Last Kingdom on Netflix, you don’t know what you’re missing! It’s excellent! it took me about 4 episodes to get into it , but then it got good. Dane’s invading, Vikings, take a young boy to raise as a Dane, then he grows up and my goodness ! Alexander Dreymon plays Uhtred! Toby Regbo plays Athelred, David Dawson plays King Alfred, Mark Rowley as Finan. Excellent performance! Eliza Butterworth as Aelswith, Millie Brady as Athelflaed. Hi, Can you please add The Umbrella Academy. Thanks. The Umbrella Academy is added. Page #4. Thanks for your comment. FBI is added. Page #2. Thanks for your comment. J’adore la Série Outlander et les acteurs qui ont un talent extraordinaire.